Great progress! Yes, make sure to take breaks … not worth risking your health over getting it done sooner. 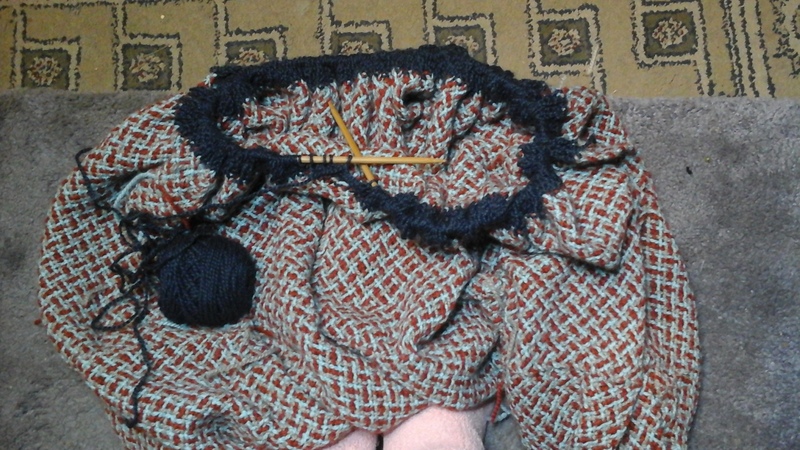 All those stitches … that’s one reason why I’m not a lace knitter, lol! Wow Claudette! I have been trying to get hold of you for a long time! I was afraid something had happened! I am sending you an email to your PayPal account email address, the only one I have. Please look there and get back to me! Glad to hear from you again!